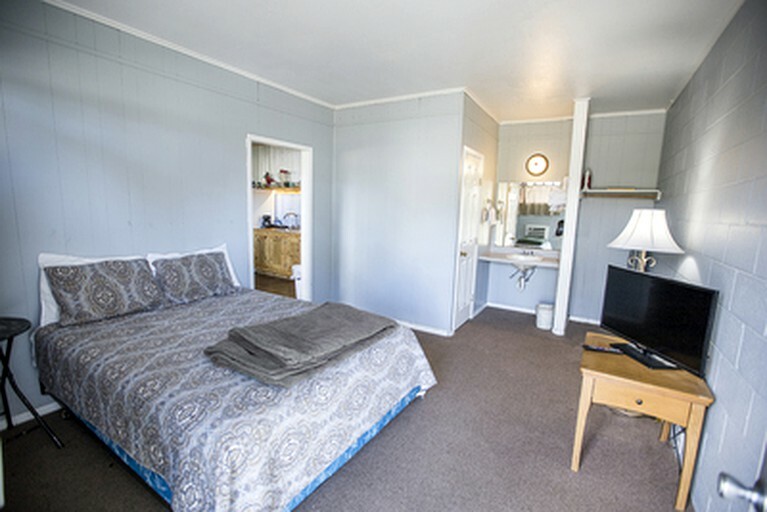 This vacation suite is located in Saint Joseph, Louisiana, and can accommodate four guests. It provides them with a bedroom, a lounge area, a kitchenette area, and a full bathroom. In the bedroom, guests will find a queen-size bed and a twin-size bed. Rollaway beds are also available. In the bathroom, guests will find a toilet, a sink, and a combination shower and bathtub. Linens and towels are provided. 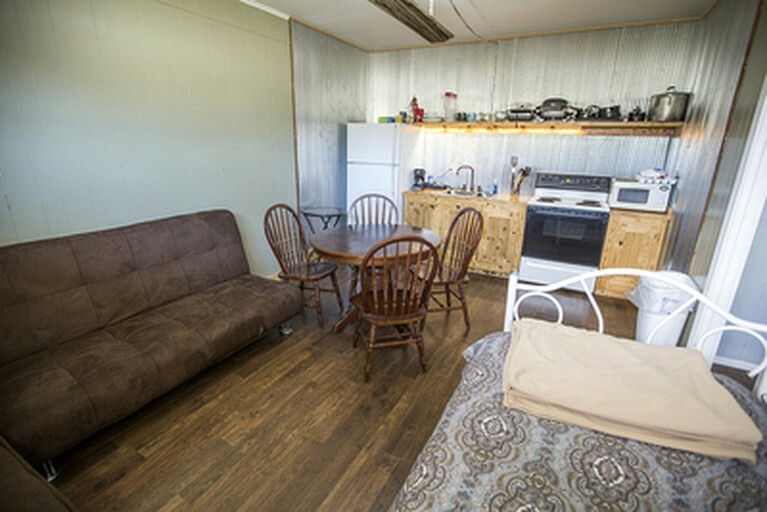 Inside their accommodation, guests will enjoy complimentary Wi-Fi, a television, air conditioning, a microwave, and a coffeemaker (available upon request). Outside, they will enjoy a barbecue area, a fish cleaning station, a deer-skinning rack, free parking, an on-site mini-market, and an on-site restaurant with a menu that includes burgers, po' boys, and seafood platters. This lodge is located in Saint Joseph, Louisiana, near the shores of Lake Bruin. This 3,000-acre ox-bow lake formed about 500 years ago when the mighty Mississippi River changed its course and left the lake behind. Today, the lake provides guests with clear waters that stretch around in a U-shape for nearly 11 miles, while the Mississippi River lies less than a mile to the west. The lake is a prime spot for fishing, swimming, and boating within a scenic setting. The shoreline is fringed with cypress trees and lovely lake homes, and the water is full of bass, white perch, catfish, and bream. Part of the land surrounding the lakes belongs to Lake Bruin State Park, where guests can rent flat-bottom boats. The region is also home to three wildlife areas: the Tensas River National Wildlife Refuge, the Buckhorn Wildlife Management Area, and the Big Lake Wildlife Management Area. At the Tensas River National Wildlife Refuge, guests will find hardwood forests and open water wetlands that are home to more than 400 species of wildlife, including Louisiana black bears and alligators. At the two wildlife management areas, guests will find hunting grounds full of white-tailed deer, squirrels, rabbits, and turkeys. On Saturday mornings, from Memorial Day and Labor Day, guests can head downtown to visit the Saint Joseph Farmer's Market. Here, they will also find a couple of restaurants and a grocery store. Day trip options include Natchez, Mississippi, which is about an hour to the south, where guests will find historic sites such as the Longwood mansion and the Natchez National Historical Park. Another option is Vicksburg, Mississippi, which is about an hour to the north. This city was the site of the Siege of Vicksburg during the Civil War and is today home to Vicksburg National Military Park. Guests can go swimming, fishing, and boating on Lake Bruin, with flat-bottom boat rentals and fishing spots to be found at Lake Bruin State Park. 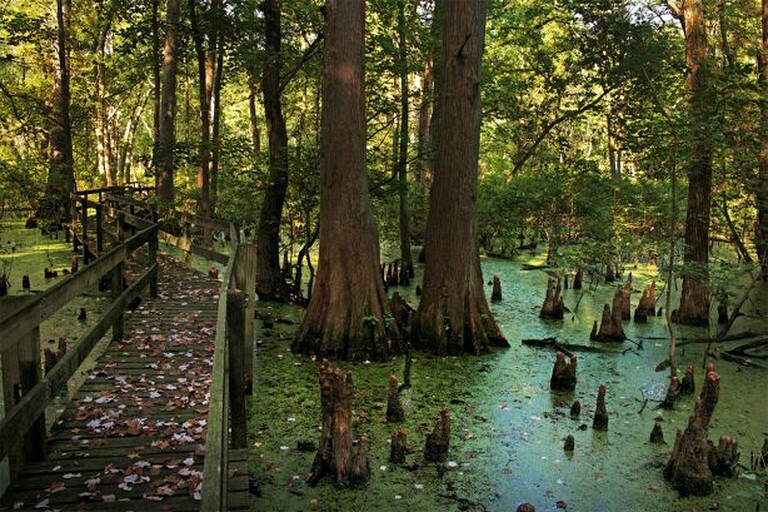 At the Tensas River National Wildlife Refuge, they can go hiking, bird watching, and wildlife viewing. On the Tensas River, guests can also go kayaking, canoeing, and paddleboarding. Those who hunt can go hunting at the Buckhorn Wildlife Management Area and the Big Lake Wildlife Management Area. Those who golf can hit the links at the Lake Bruin Golf and Country Club. For day trips, guests can travel about an hour to Natchez and Vicksburg, Mississippi, where they will find historical sites such as the Longwood mansion, the Natchez National Historical Park, and the Vicksburg National Military Park.